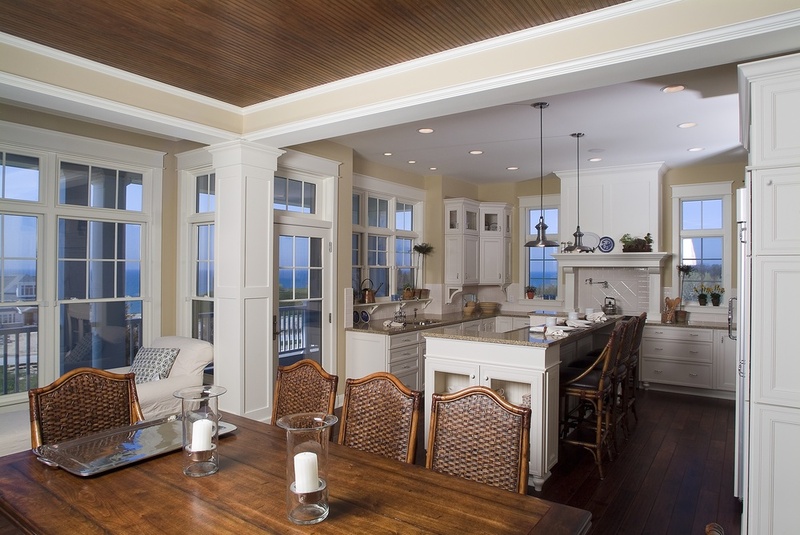 Leland — Visbeen Architects, Inc.
Large casement windows and three levels of porches along the back of the house characterize the exterior of this classic-style home perfect for lakeside or oceanfront living. Inside, the kitchen, living and dining rooms all boast large windows and French doors that lead to the nearby deck. 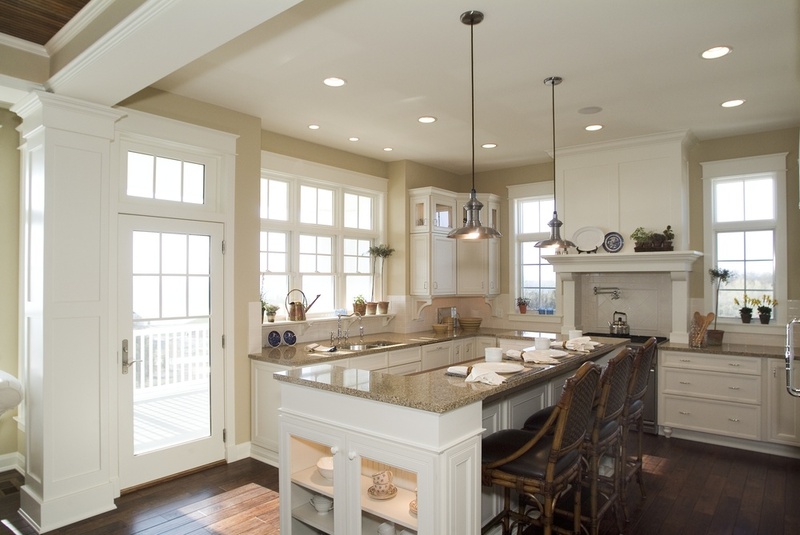 The kitchen features a large cooktop area and spacious island with seating. Upstairs are three bedrooms on the second floor and a third floor tower room. The casual and comfortable lower level features a family room with kitchenette, guest suite and billiards area. Photographers: Commercial Digital Images & Visbeen Architects, Inc.